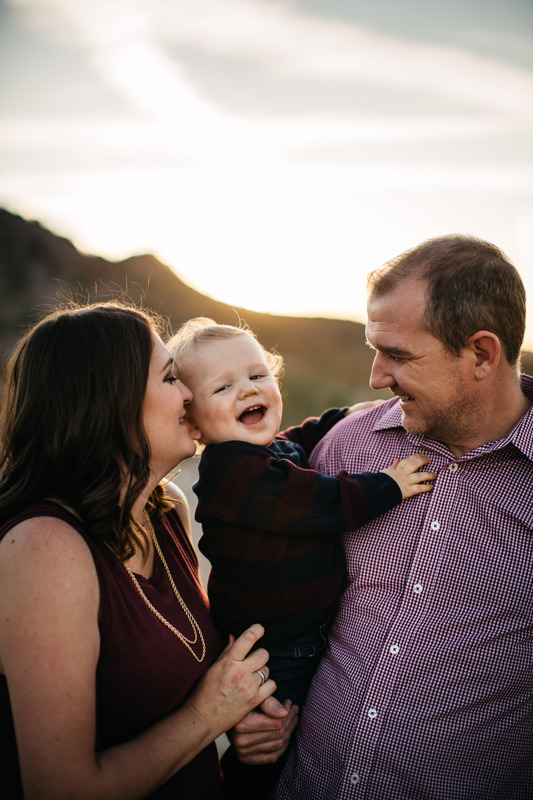 This Phoenix family session was one of my favorites for a number of reasons – cute kids, easy-going parents, a gorgeous evening at one of the best little spots not too far from where I live. The light was perfect, it wasn’t 197 degrees, and the grandparents came along to get in a few photos and help entertain the little ones. Really though, I loved this session before it even started, before I had even met the children or noticed that the light was doing wonderful things that evening. Why? Because Mom let me help with their wardrobe choices. I mean, for starters, I just love clothes. So, if I get to live vicariously through you while you shop, this is an added perk to my job as a family photographer. Really though, it makes me feel like we establish a level of trust and friendship and unite as women who are just trying to find something to wear that doesn’t make us look old, frumpy, and out of touch. Am I right or AM I RIGHT? These days, I ask my husband for wardrobe feedback and I think he’s terrified of saying the wrong thing. So I get something like, “As long as you are comfortable and feel good in it, I think it’s fine.” I mean??!? How is that helpful?!!!?! Haha. So then I’m standing in front of the mirror taking selfies and sending SOS texts to my sister and best friend and you guessed it, then we are late to wherever it is we are going and it’s somehow my fault even though I blame Jesse for giving me absolutely worthless feedback about my outfit. Am I getting off track? Hmph. Possibly. My point is this – I love being able to help my clients with their wardrobe. Yes, I want them to look their best for their photo session. Yes, I want to take away some of the stress that comes with dressing a family of 4 or 6 or 10. 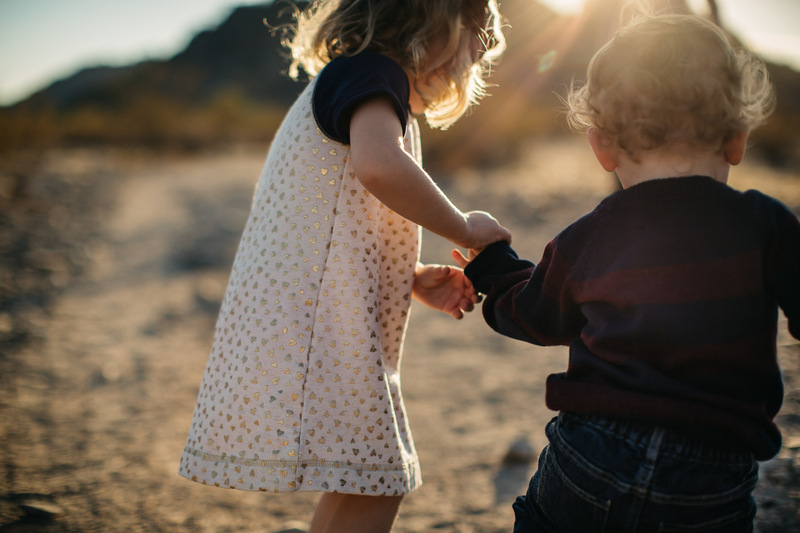 Yes, I’m happy to do the decision making since I get that sometimes all we want is someone else to take the wheel and do the brainwork (Side note: Why has making decisions become so debilitating now that I’m a mom?!?). But also, I love being a friend to another mom. I get so excited when clients text me while they’re out shopping; I smile when an email pops up with links to clothes they’re thinking of buying. 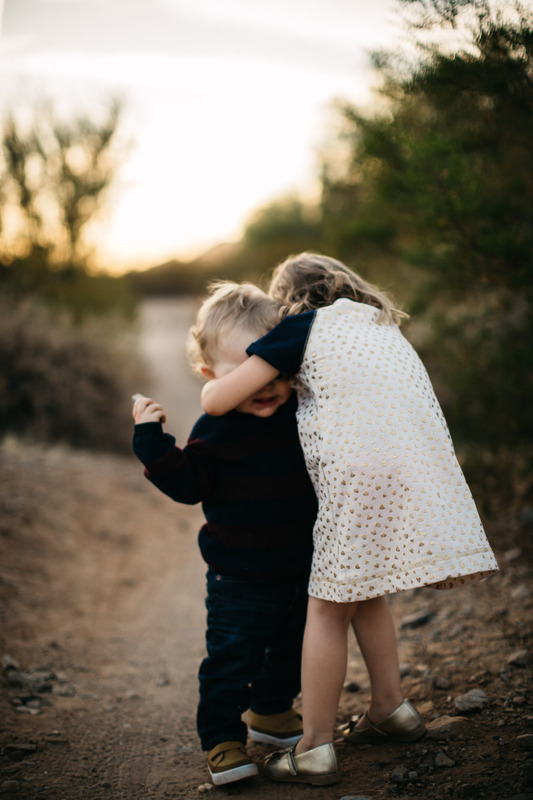 I am honored and humbled when my clients trust me with something personal, and I end up walking into a family photography session already feeling like I have made a new friend (If you’ve browsed my site at all, you know that I LOVE MAKING NEW FRIENDS. LET’S BE FRIENDS!). This sweet momma sent me some photos of her dress options and we chatted about what looked most flattering. She found the time to read through my What To Wear Guide and actually took my advice as she picked clothes for her kids. When my clients put some trust in me and listen to me on the off chance I might actually know what I’m talking about?! This is huge. HUGE. And I walk in to our session with a little more confidence because I know, if all else goes to sh*t, at least their outfits are on point. Haha. 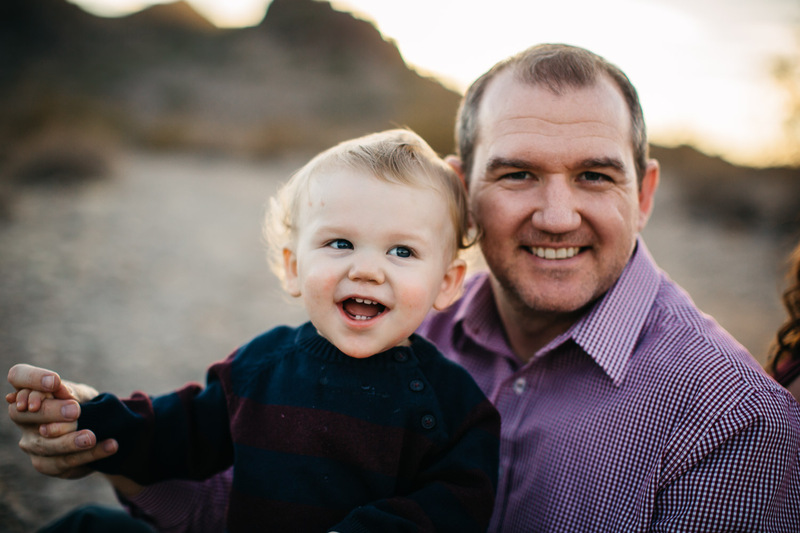 If you’re on the hunt for a family photographer in the Phoenix, Arizona area, I would love to chat. 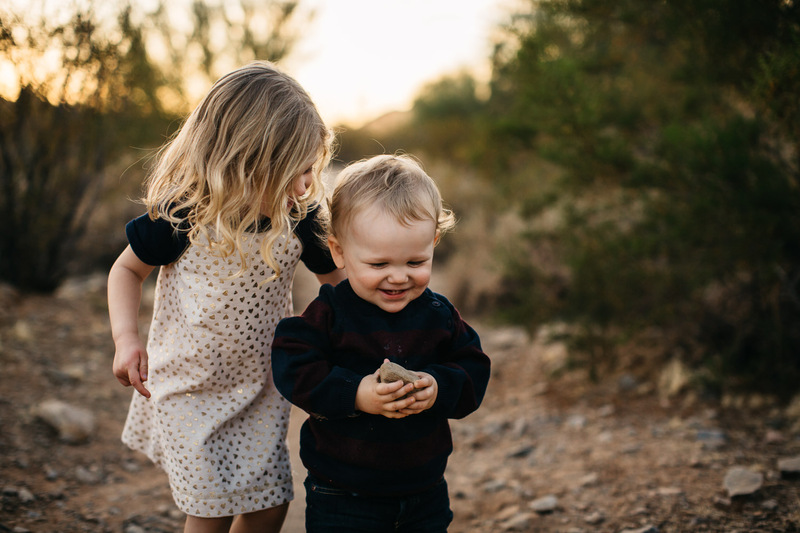 My sessions all include a What to Wear guide and personal attention as you plan your family’s wardrobe, as well as location scouting, a detailed family questionnaire, and an online gallery of edited images to make ordering and sharing super simple. Get in touch today (click here!) to book a session! Want more details? 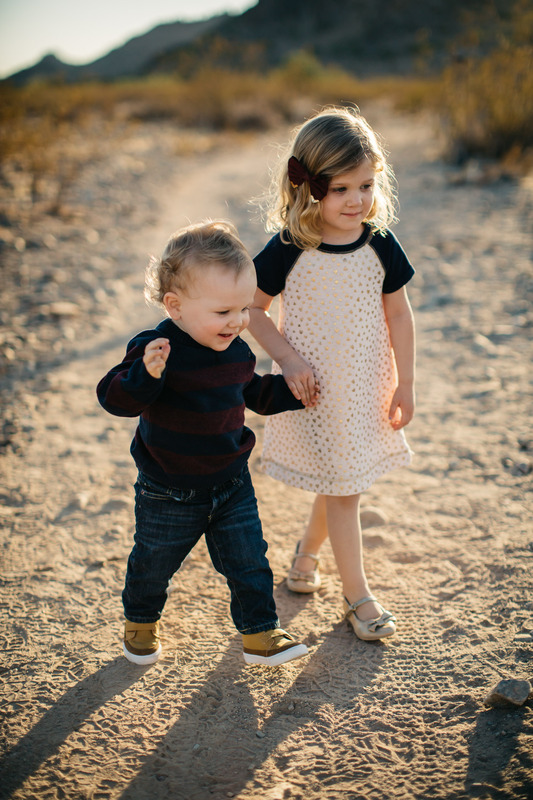 Click here to read more about my family photography sessions. 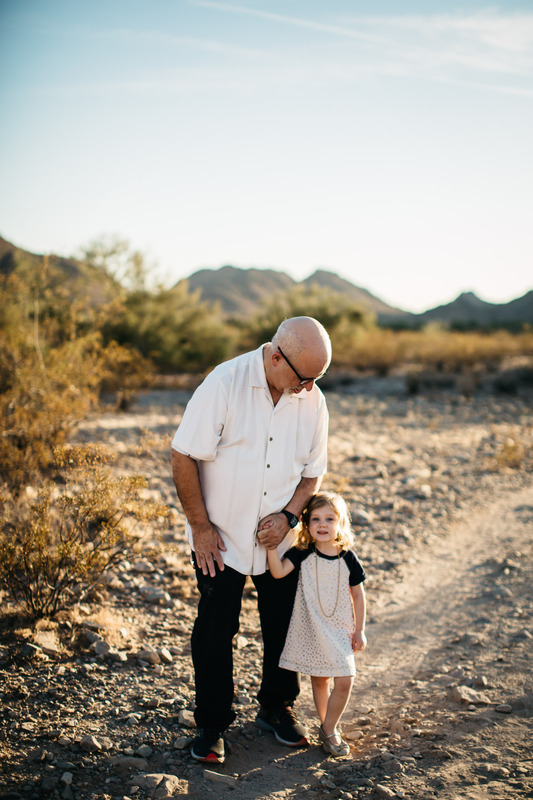 This Phoenix family session is absolutely dreamy!! The light coming from behind those mountains is STUNNING! I need to get to Arizona soon! Absolutely love your work! 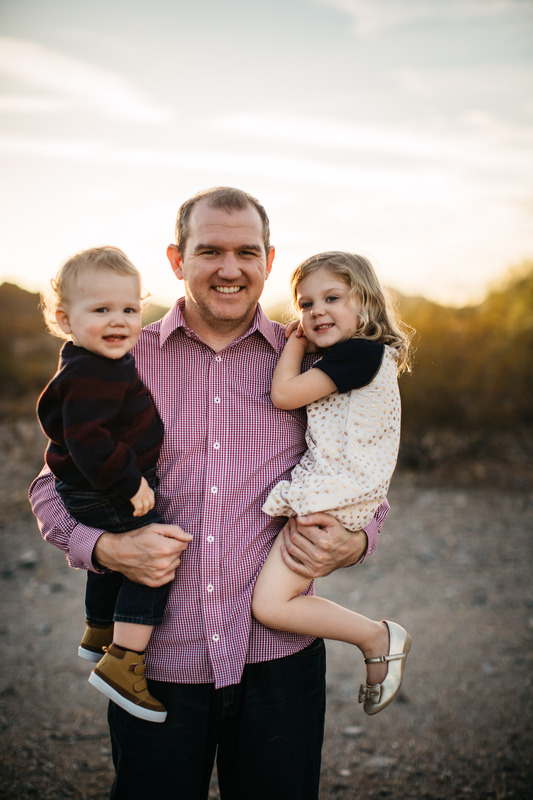 If/when I someday visit Arizona and want a family session, i know who to call! Wardrobe is everythingggg! So so important! 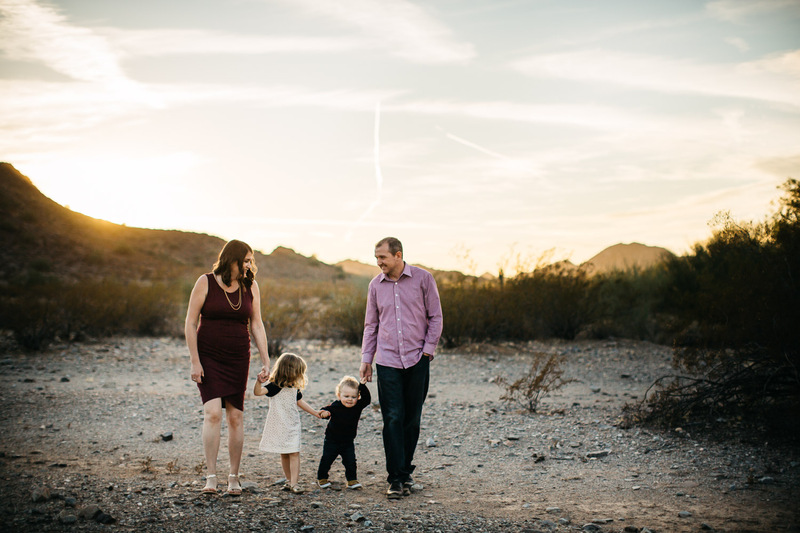 I think the light looked amazing for this Arizona family photo session, though! Oh wow! This light is so magical! 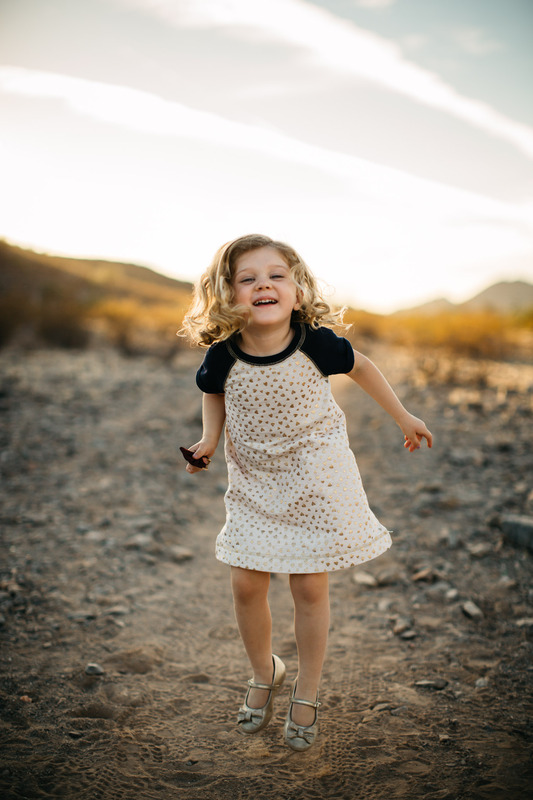 This Phoenix Mountain Preserve family session looks like it was such a dream! Seriously beautiful! Holy Guacamole, these are incredible! 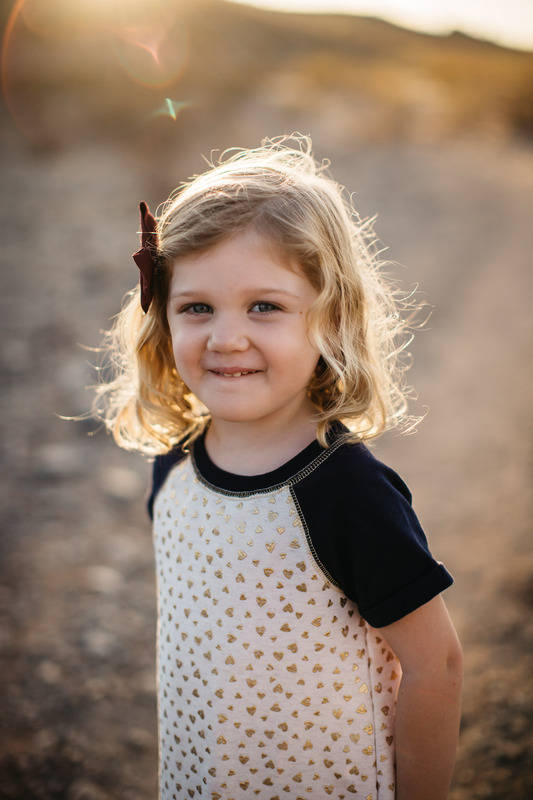 Phoenix looks beautiful… and you are the most talented family photographer for sure! Adorbs! 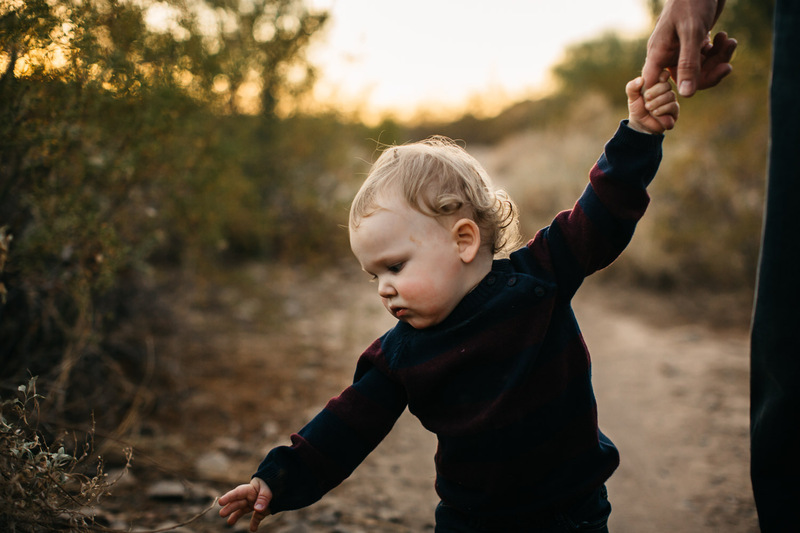 How do you like the mountain preserve for family sessions? Especially with smaller children. Arizona has quite a few great spots but I really love this one. What about you? 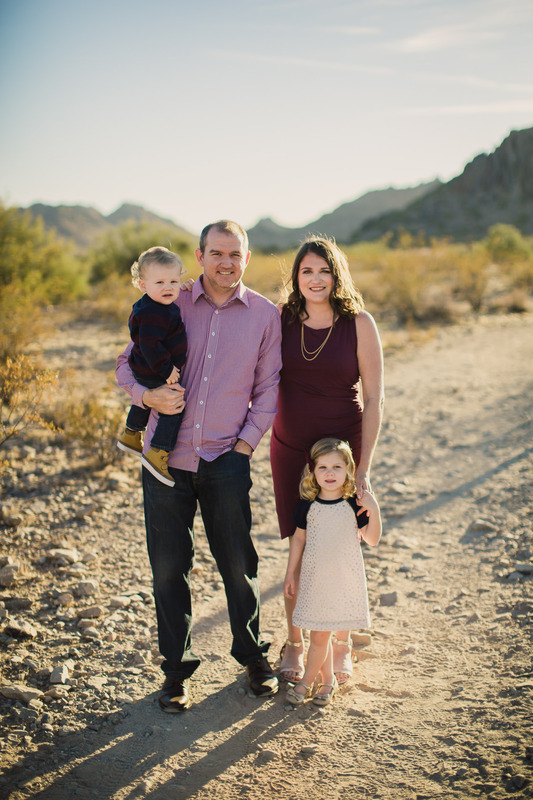 What a beautiful Phoenix Family Photo Session!!! I’m so in love with the emotion and the beautiful lighting!! 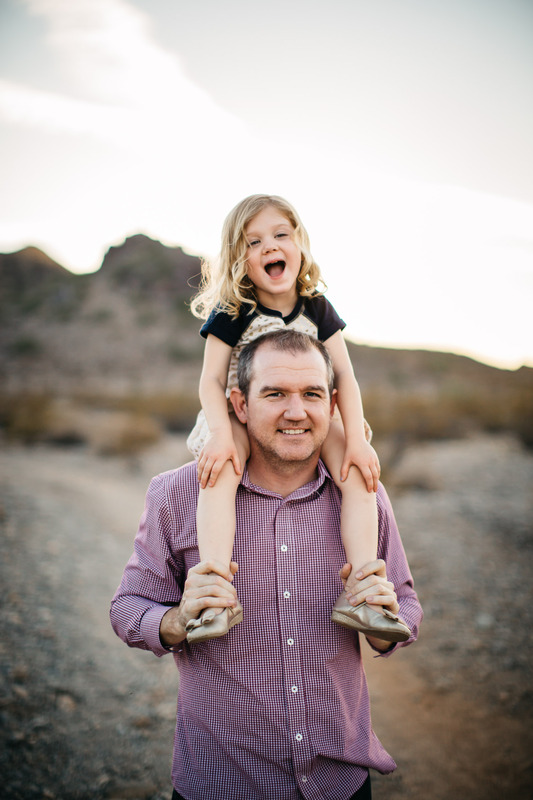 Gorgeous Phoenix area family photographs! That Arizona landscape is so gorgeous. Magical evening light! I love this family session – they will surely cherish the images for years to come! Arizona is such a beautfiul place and ideal for taking photos! 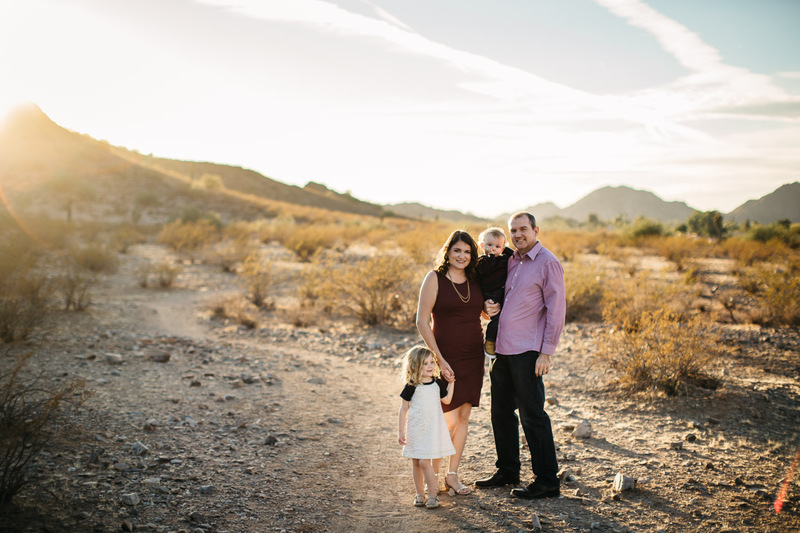 What a stunning backdrop for this beautiful Arizona family photo session, from the co-ordinted outfits to those adorable kids this is family session goals! 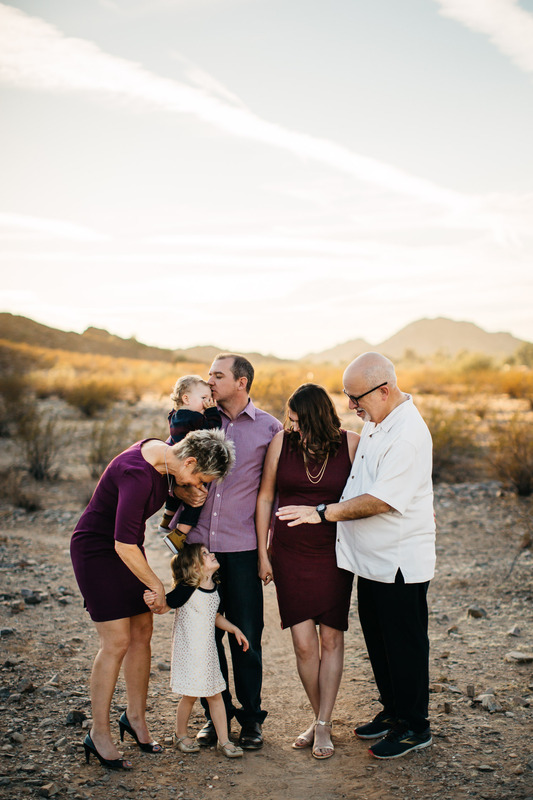 What a great Phoenix family session! This is the perfect time of the day for this beautiful family! so much fun! your work is beautiful and it flows very nicely. I can’t wait to see more of your work! The kids are adorable! They are not in anyway camera shy! 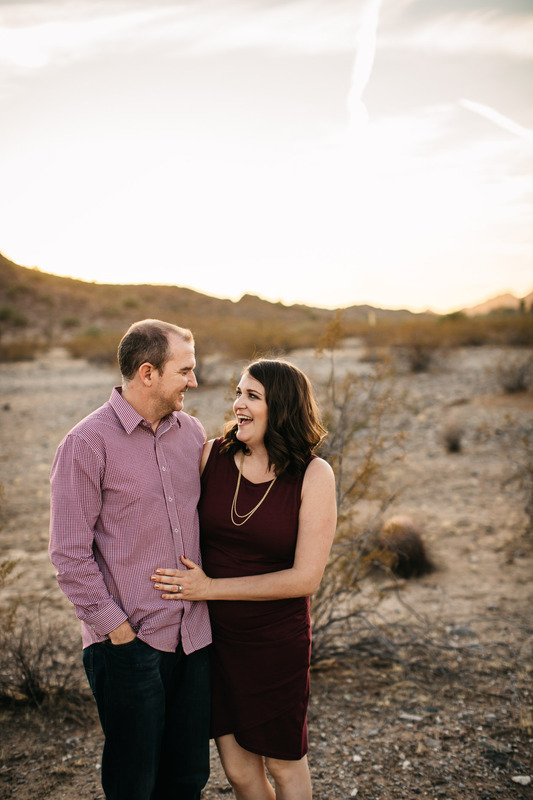 The beautiful Phoenix landscape was perfect for the location shoot. 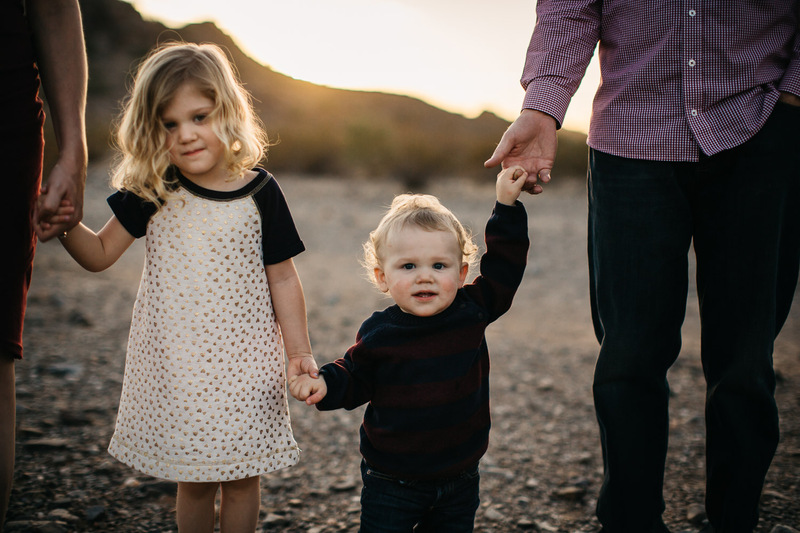 I’d be more than happy to recommend your services as a Phoenix Family Photographer to any one who would ask. 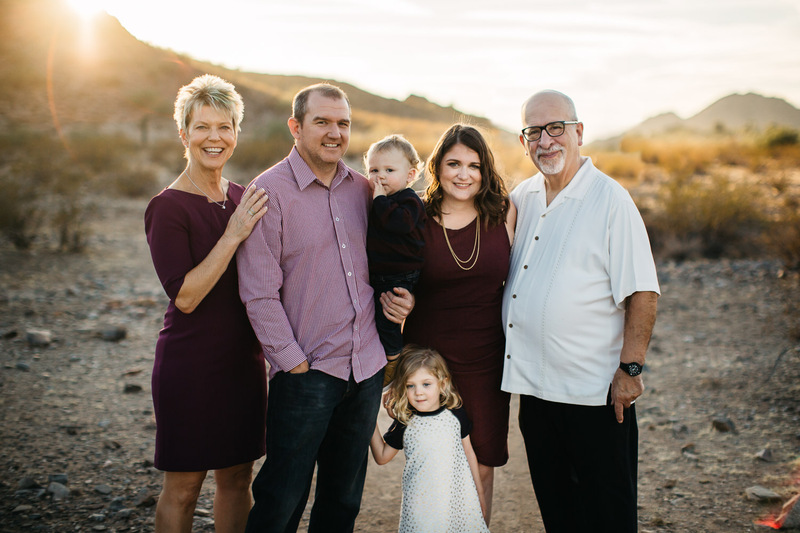 What a darling family session! That is so sweet of you to help with wardrobe choices, definitely a great service to add to the overall experience! I’m sure that alone will have this family coming back again and again! That dessert light though! Gets me every freaking time. I sooooo hope to photograph in it one day. 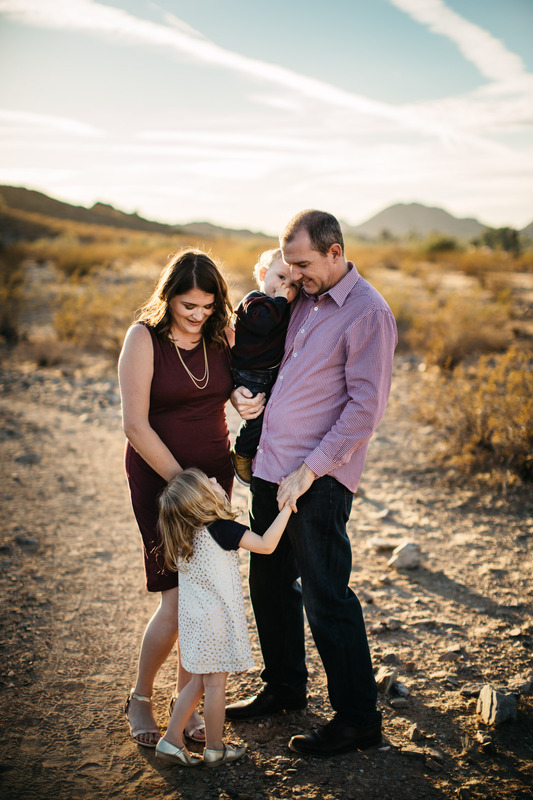 I love this sweet family session by a great Phoenix family photographer. 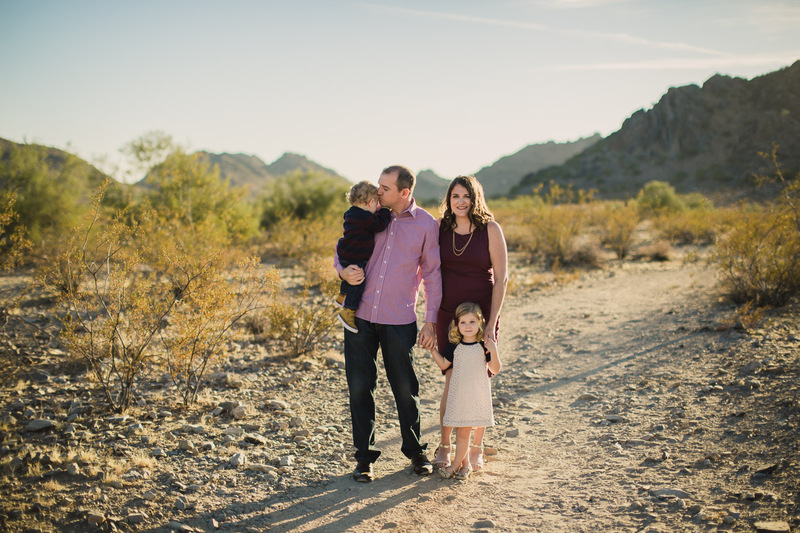 OH man, what a gorgeous Arizona Family Photo session! I can’t get over how beautiful this location is. You captured such lovely candid moments between them all, and I know they are going to treasure these photos! Wow, Arizona has such beautiful deserts and sunsets. I’m so jealous of this family’s gorgeous photography session. 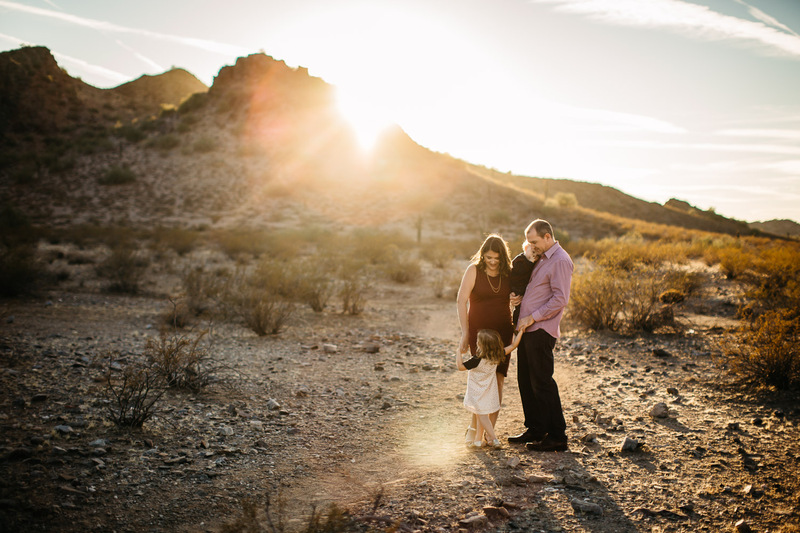 If I’m ever in the area, I want my family photos taken in the desert! You have such a beautiful way of incorporating the beautiful scenery around you. Arizona has such a stunning and beautiful landscape. 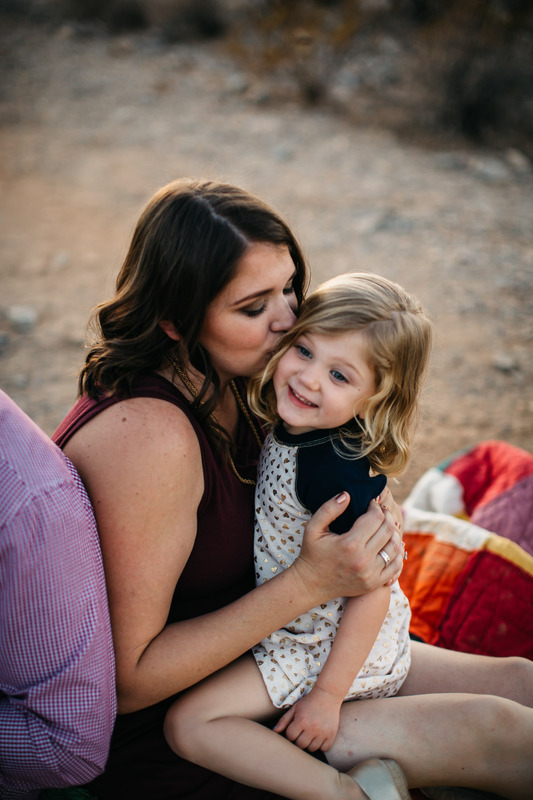 The fact that you care so much for your clients experience from what they where to feeling comfortable during the shoot makes you an amazing Phoenix Mountain Family Photographer. 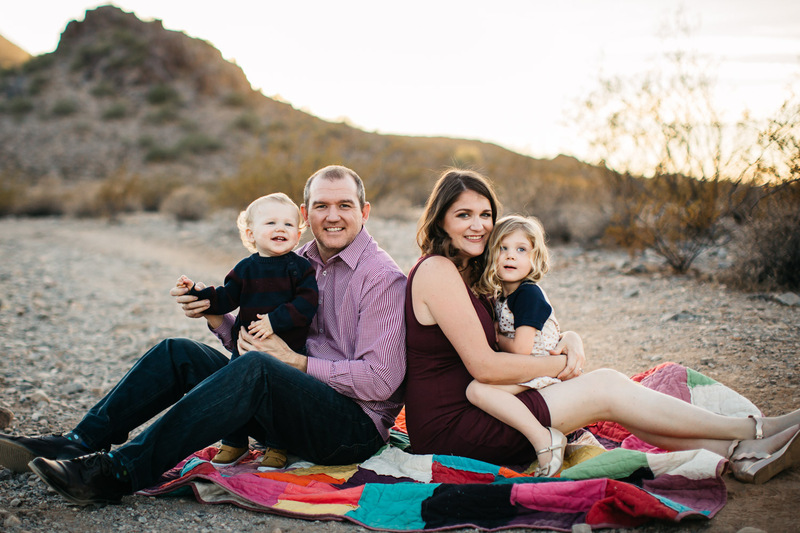 What a beautiful arizona family photoshoot! That light is amazing and you did such a wonderful job with these family photos. Pheonix is one of my husband’s favourite places…he’s always talking about going back! And now I want to go just for the sake of doing a family photo session like this lol! These are gorgeous. Wow! I never knew that the Phoenix Mountain Preserve was THIS stunning! This is such a great family session, you killed it. Great work! Gosh, that light really is doing amazing things! Beautiful photographs as always! Thanks, Lauren! I love the light here! Such a beautiful family! And the moments you have captured are just incredible!!! Thank you so much! 🙂 Love all of your work too, lady! Gorgeous work as always, Virginia! You have caught beautiful, precious moments that they will cherish forever <3 Just stunning. Ahhhh! Arizona! I loved all of these. My boyfriend grew up in AZ, so we go back a lot and it has such a special place in my heart. I love the light in these images, and the posing of the family. Love, love love! What a gorgeous session!! And those kiddos are adorable! Omg! Her little dress! Gorgeous work and beautiful light! Gorgeous family photos! Great work! I love your use of light! 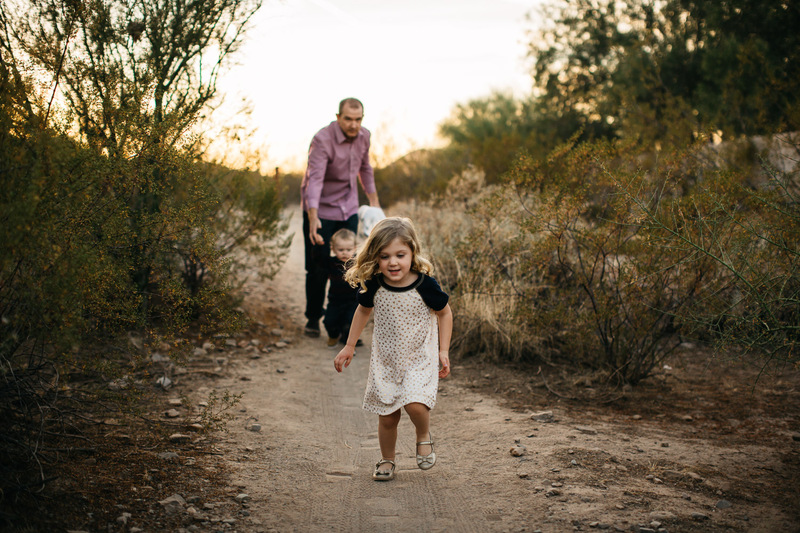 You are an incredible Phoenix family photographer, and I love how you capture such real moments! Your work is absolutely stunning!